When it comes to furniture, you may not always want to buy everything that you have brand new. Because it can get really expensive that way. Instead, it can be fun to renovate some of the furniture that you already have. Or, even buy older pieces and look to fix them up so they look new and improved! 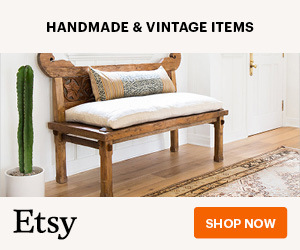 This is great if you love the style of vintage furniture. If you find that you don’t even like the look of new furniture, then that’s even more of an incentive to start doing up some older pieces. You may even want to take this and turn your newly found skills and passion into an upcycling business. But, before you get ahead of yourself, you’ll want to think about getting started. First of all decide what piece of furniture you’re going to work on. And this is often crucial. Something like a table or drawers is probably the easiest thing to go with. When you’ve mastered something easy, you can then work your way up. Don’t pick something too complicated to start – you may make loads of mistakes and get frustrated instead of enjoying the process. So consider what you currently have that you could work on or take a look around locally to see if you can pick something up used to work on. Sometimes you can collect things for free from Facebook Marketplace or even off the street if people leave goods outside with a ‘free’ label on. One of the first things to think about changing, and perhaps the simplest way to upcycle an item, is to change the colour. Painting furniture may seem pretty easy, but you still need to follow instructions in order to get a perfect finish. If you don’t prep the material properly or use the paint in the right way, then you could end up with cracks in the finished paintwork or even bubbled or peeling paint. Not a good look. For a professional finish you need to follow the instructions of the paint brand you choose to use. Maybe you love the color that the piece already is. Maybe it has a really authentic finish or it’s got some great antique detailing to it. But perhaps it’s not in the best condition and is broken, has pieces missing or a chunk chipped out of it. Here, depending on the piece of furniture that you’re working on, you may want to get some specialist advice about what to do. Restorations can be a little trickier to master and if you want to keep it looking as authentic as possible then an expert is needed. If you’re planning on upcycling chairs and foot stools then you’ll need to learn a thing or two about reupholsering furniture. If the seat is super lumpy or has no bounce left in it, you may need new foam, like www.anyfoam.co.uk, and fabric. You can then replace anything that’s tatty and outdated to make it look and feel brand new. if you’ve made a few pieces of upcycled furniture for yourself and your home, and you’ve enjoyed the whole process, then you could consider upcycling more items for friends and family. If these go down well or feedback on your own pieces is positive, then maybe try it again and selling the pieces online? You could start a side hustle alongside your full time occupation and who knows? It could become a full time dream job for you one day!